Professional drummer and percussionist, he’s born in Naples. He then moved to Rome, at only 20, to pursue his musical studies. Always active in the field of percussions, he has spent a lot of time studying dynamics, sounds, articulation and sound quality of many percussion instruments, going then back to drums, his first passion. His personal way of playing drums has been described as sunny and clear, just like a real “groove man” must be, but he took part in several original ethnic drum sets projects as well. 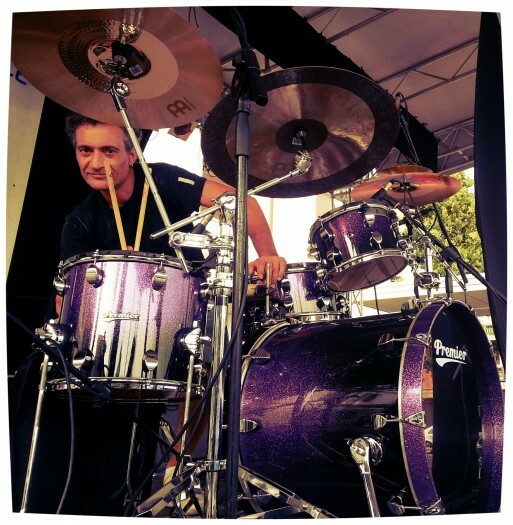 Established as a successful drummer after many musical tours and albums with important Italian and international pop, jazz and folk singers and songwriters, he’s also been working as a producer, author, drum teacher and drum clinics anchorman in music schools and shops. His current musical project is known with the name of ZAC IN PROGRESS ZIP. He played in tours and albums for many artists as : Gianni Morandi, Massimo Ranieri,Gianni Togni,Sergio Endrigo,Geoff Westley, Badarà Seck, Max Manfredi,Gary Kelly,Jean Philippe RyKiel,Gabin Dabirè,Penny Brown,Tito Schipa Jr and so on. He also worked for main record labels as RCA, RICORDI, POLYGRAM, CGD, along with independent labels as KINDERGARTEN (Florence), CANTARE IN ITALIANO (Rome), Kafer records and other ones.